Today’s coincidence isn’t so much a musical one as a purely visual one. 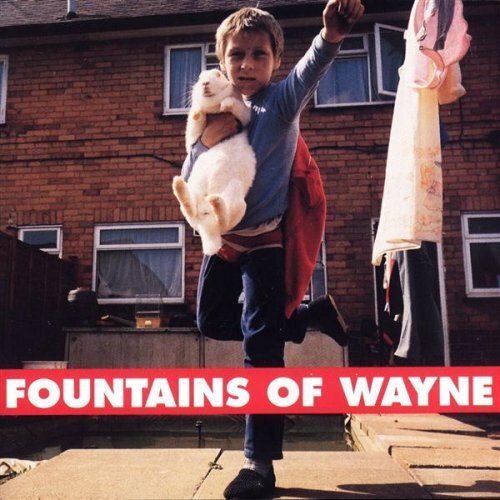 That’s the cover of Fountains Of Wayne‘s 1996 self-titled debut album. As my brain went “Huh?”, I looked for some clarification, explanation, and elucidation. 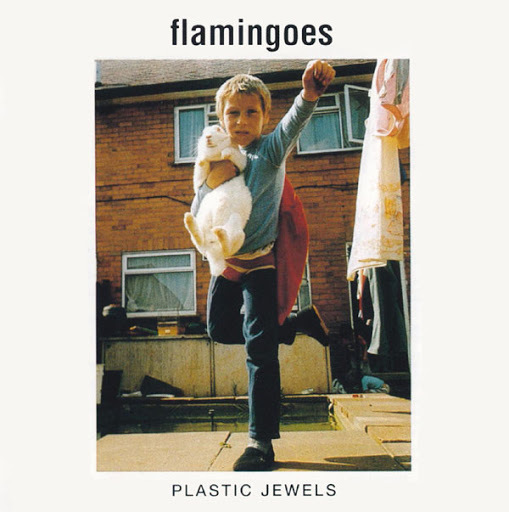 The Flamingoes’ debut, Plastic Jewels, is probably forever going to be known as “the other record that uses the cover photo from the first Fountains of Wayne album.” That picture, a Nick Waplington photo of a young boy wearing a towel cape and clutching a white rabbit while striking a superhero pose, coincidentally showed up on both albums, which were released within weeks of each other in the U.S. in the fall of 1996. (For the record, Waplington had licensed the photo to the Flamingoes first, and it graced the original 1995 U.K. release of this album.) 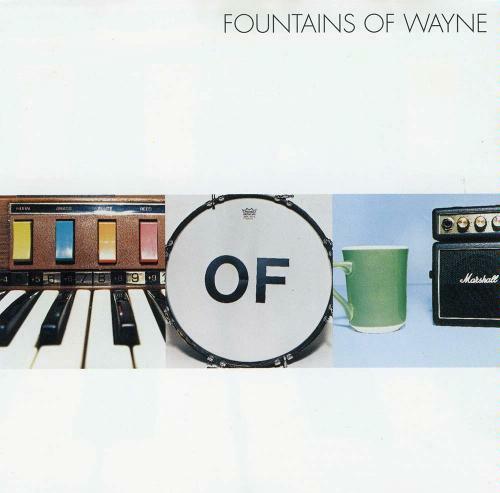 It’s a shame that Plastic Jewels didn’t make the splash that Fountains of Wayne did, because it’s every bit as good an album. Solid guitar-based Brit-pop in the style of Supergrass, the immediately catchy songs on Plastic Jewels are memorably hooky, with plenty of cool guitar riffs and chirpy background vocals that help to make up for the fact that neither Jude nor James Cook, the identical twin brothers (with nearly identical voices) who lead the trio, is much of a lyricist. However, lyrics aren’t particularly important in this style of glam-influenced guitar pop — not many complained about how dopey the Sweet’s lyrics were — and the trio’s brash, rocking pop is instantly enjoyable regardless. Plastic Jewels is what Oasis always wanted to sound like but never quite managed. Thanks for clearing up that mystery, AMG. It’s a very cute picture – a young boy in a makeshift Superman outfit, thrusting his left hand in the air as if flying, with a “rescued” bunny under his arm. It’s the kind of striking image – found in a book by photographer Nick Waplington chronicling two English families – that would make a great album cover. That’s exactly what the New York band Fountains of Wayne thought. And the English band Flamingoes thought so too. And now there are two new albums with the same photo on the cover, and neither act is very happy about it. “The deal made it exclusive to us, but the Flamingoes also had an exclusive deal,” says Bobbi Gale, spokeswoman for the Atlantic Records-distributed Tag label, which released the Fountains of Wayne album. 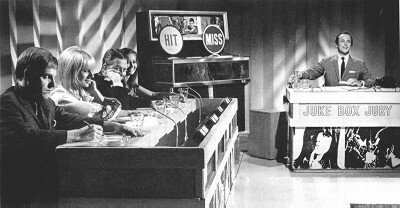 The English group had it first, releasing the album on an indie U.K. label two years ago. It was only coincidence that it got picked up for U.S. release by Pennsylvania-based Big Pop Records at the same time the Fountains of Wayne album was coming out. Peeved, both Atlantic and Big Pop executives contacted Waplington with threats of legal action, though they seem to have dissipated. – Copyright, The Times Mirror Company; Los Angeles Times, 1996. By the way, I’ve now heard Plastic Jewels, and I agree with the Guide about it being “solid guitar-based Britpop in the style of Supergrass”. You are currently browsing the archives for the Flamingoes category.